Send them this gift when a celebration breakfast is just the ticket. This continental style breakfast in bed is the perfect gift solution whatever the occasion. 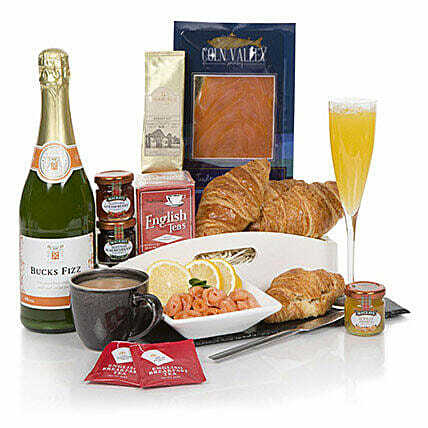 This hamper includes Bucks Fizz, Butter Croissants, Scottish Smoked Salmon, Breakfast Coffee & English Tea, Marmalade's and Preserves.